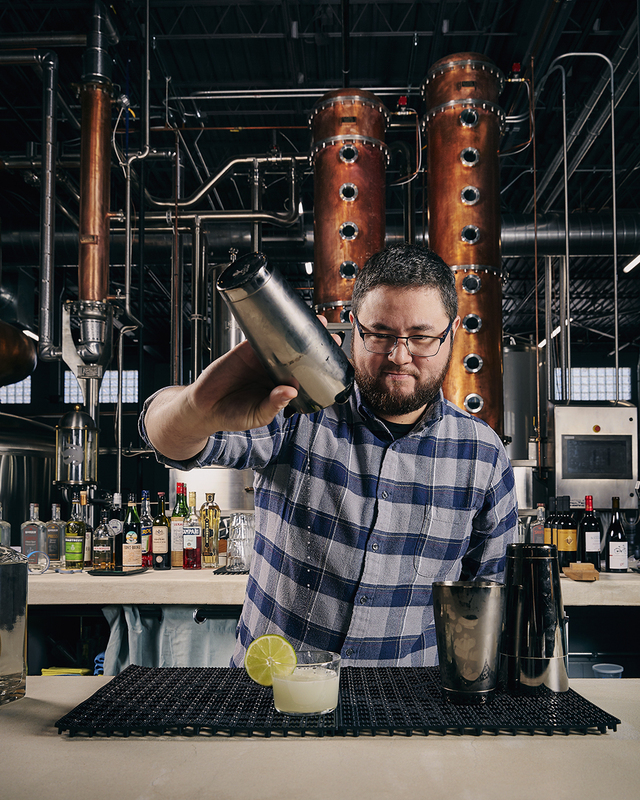 Create a cocktail of some of Cincinnati’s most notable culinary stars—MadTree founder Jeff Hunt, former executive chef of Maribelle’s Eat + Drink Mike Florea, and Christian Moerlein’s former vice president of brewing, Eric Baumann—and you’ll get craft distillery and restaurant Karrikin Spirits Company. “This is a lot of different worlds colliding,” Florea says. “It allows us to go beyond beer and just experiment with a bunch of different things,” Hunt says of the collaboration. 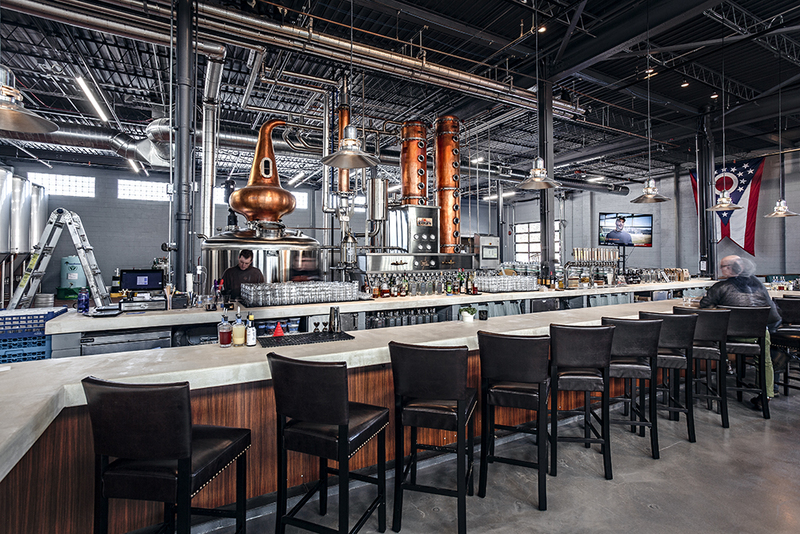 Experimentation—and locally sourced ingredients—is the overarching theme at Karrikin, which is housed in a 30,000-square-foot facility that was once a Swallen’s warehouse. The weekday menu, prepared in the on-site scratch kitchen, changes seasonally. Selections could include anything from chuck roast with onion jam to savory za’atar chickpeas. (Brunch is served on weekends.) 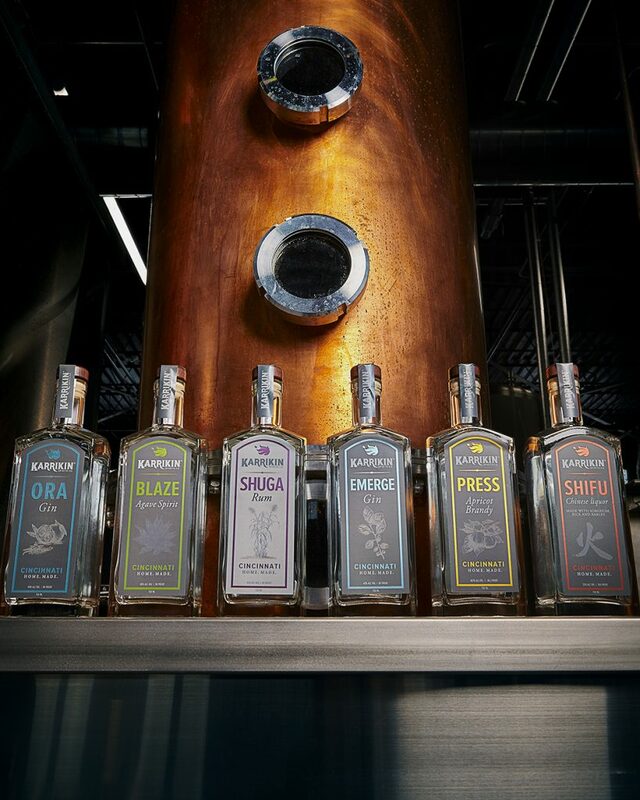 Even more extensive, the beverage offerings encompass everything from gin, rum, and vodka (the bourbon is still aging) to beer, alcoholic and nonalcoholic sodas, shrubs, and more—all housemade, right down to the agave nectar sweetener. “We like to have fun with flavor,” Baumann adds.